EK Water Blocks, the Slovenia-based premium computer liquid cooling gear manufacturer is launching four-piece and six-piece multipack options of the most popular fitting types and colors. 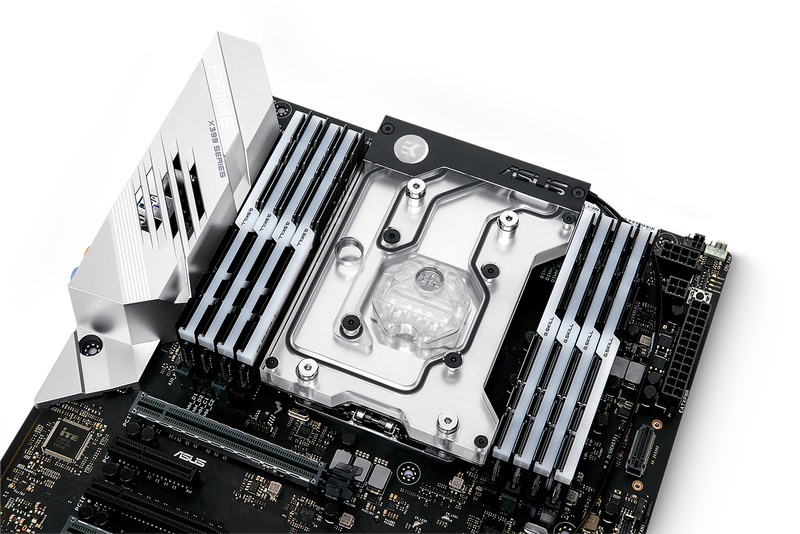 These multipack options will simplify the process of choosing the number of fittings needed for a liquid cooling loop. 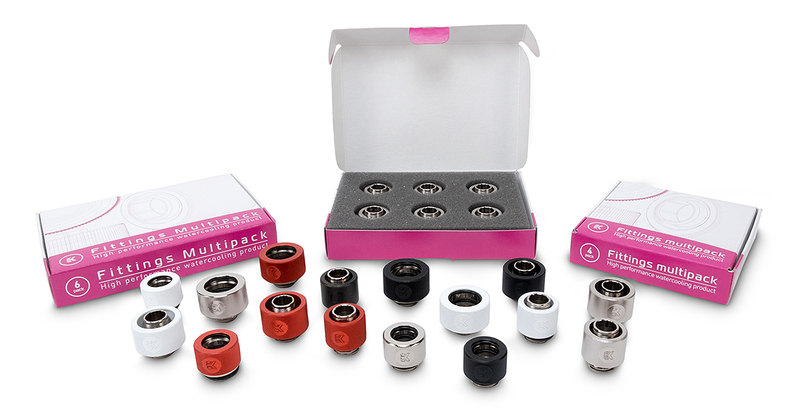 Users can combine four and six-piece packs with each other to get the desired number of fittings needed. 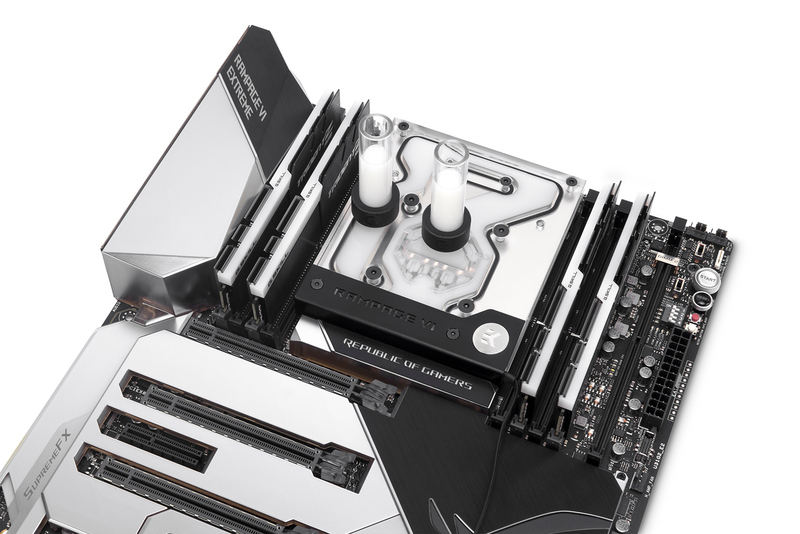 The boxed up fittings will also bring added safety during transport and the users will have a nice box to store their fittings in. 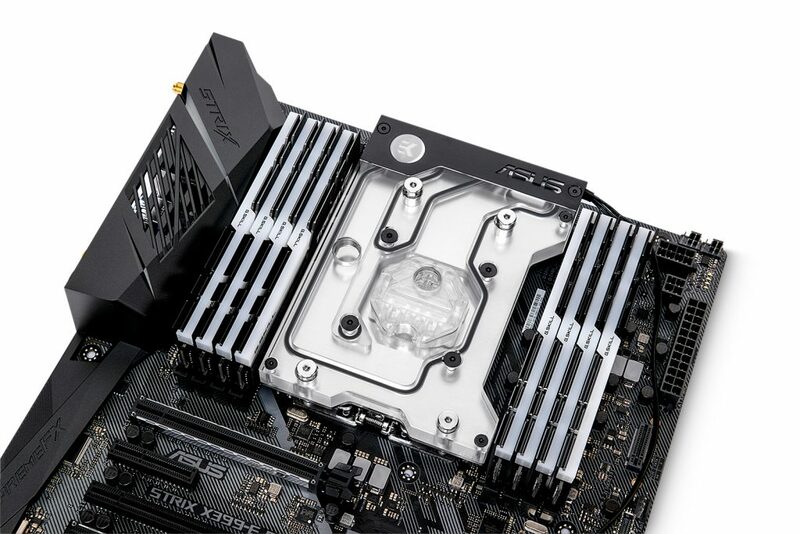 EK Water Blocks, the Slovenia-based premium computer liquid cooling gear manufacturer is going deeper into the field of RGB as one EK-XRES Revo combo unit and two EK-RES X3 reservoirs are hitting the shelves! 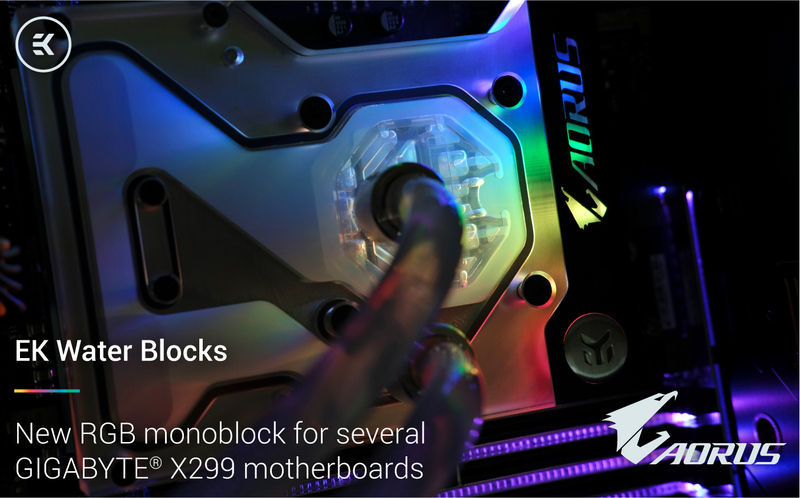 All three new products are equipped with classic 4-pin RGB LED stripes making them compatible with every major motherboard manufacturer and mainstream RGB controller. 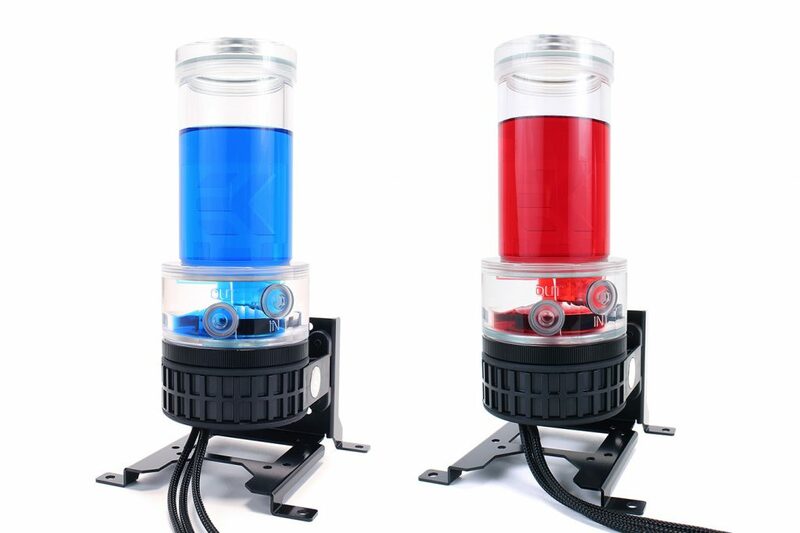 The EK-XRES 140 Revo D5 RGB PWM comes with a 140mm tall reservoir and has all of its pump cables sleeved. 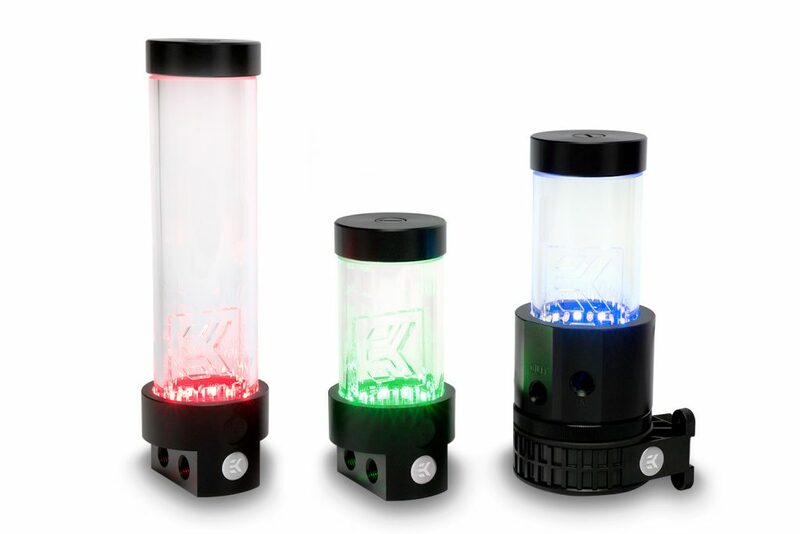 A high-performance aftermarket pump top (volute) is integrated with the reservoir for Xylem D5 series water pumps. This top offers increased hydraulic performance (up to 15%) compared to stock solutions. 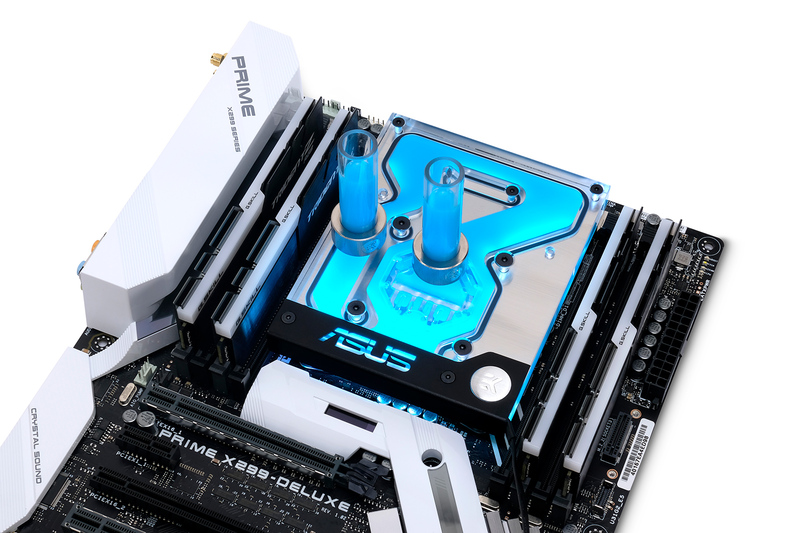 EK Water Blocks, the world renowned premium liquid cooling manufacturer, is announcing the release of a new D5 pump reservoir combo unit. 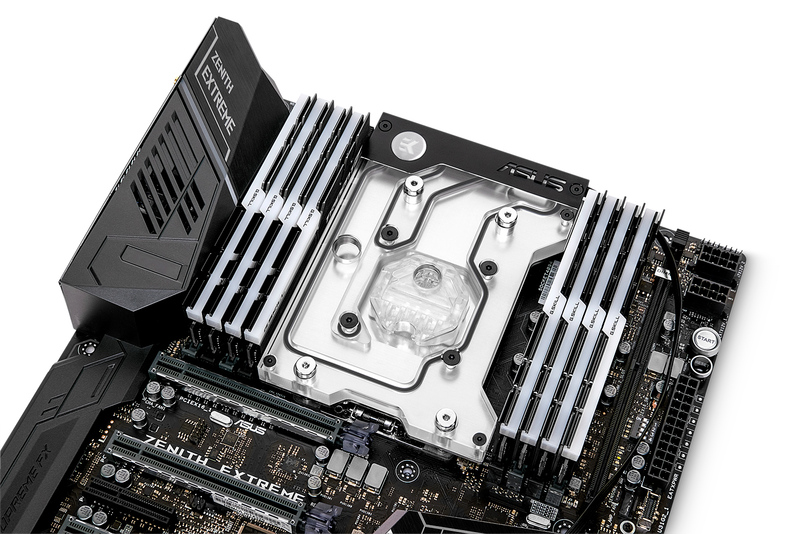 The ever popular, and very successful EK-XRES Revo D5 is getting a Plexi version. 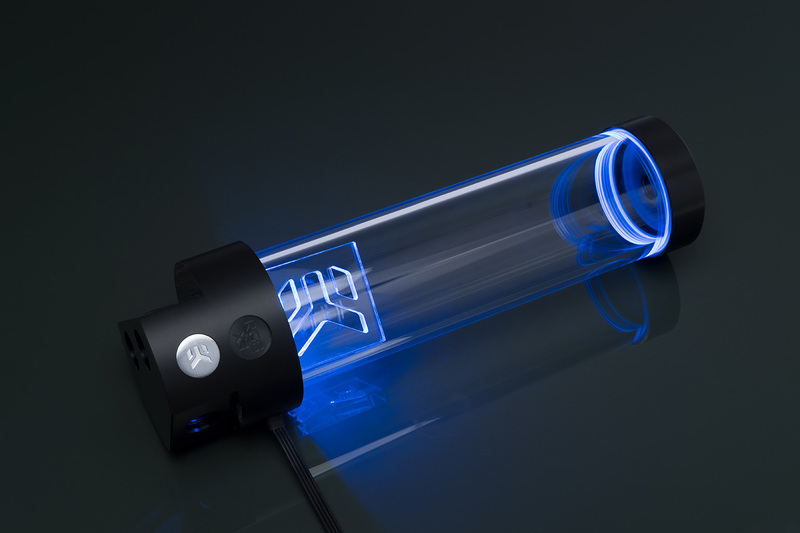 The volute – reservoir bottom for the new combo unit is made from CNC machined acrylic glass with very high level of transparency. 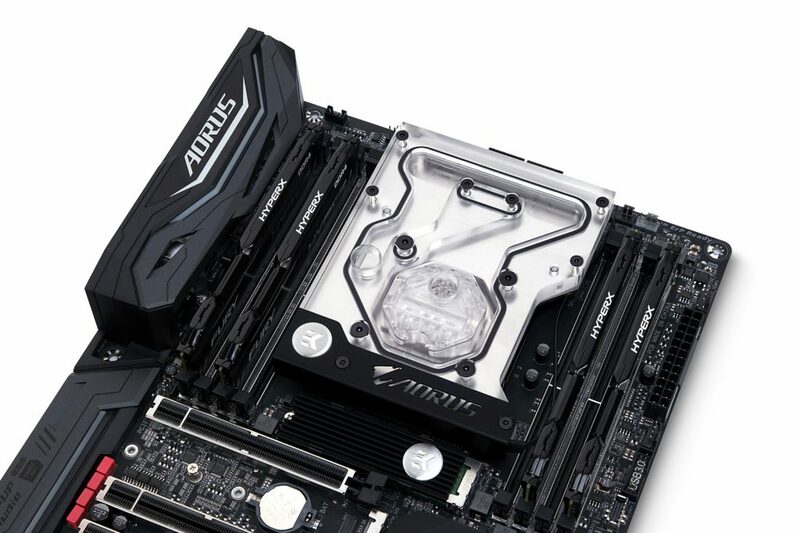 To complete the whole Plexi experience, the reservoir is equipped with a see-through plexiglass end cap as well. 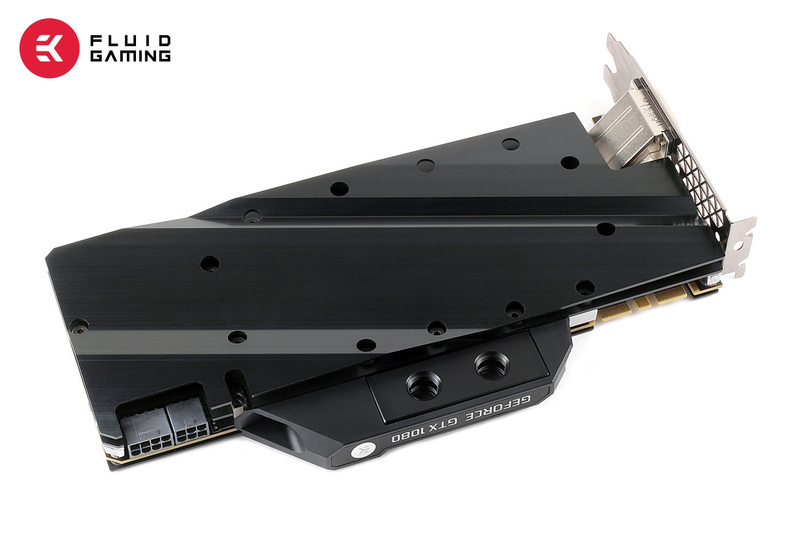 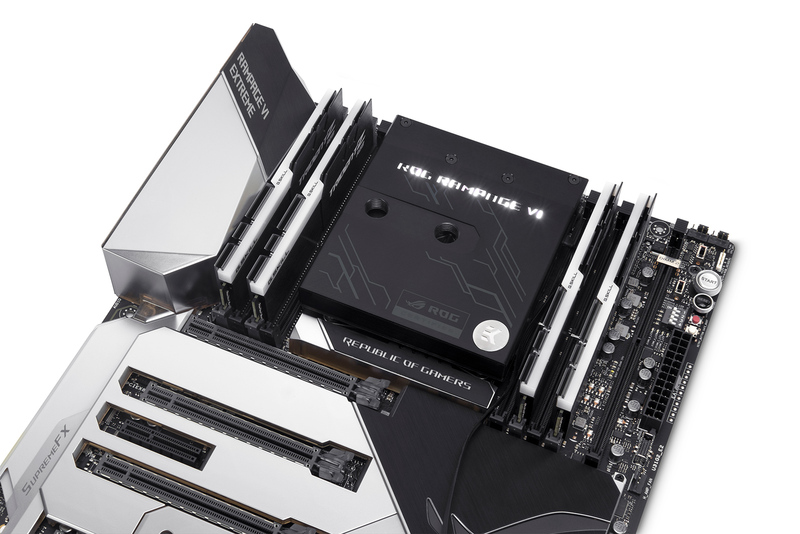 EK Water Blocks, the market leader in PC custom liquid cooling, is releasing additional aluminum water cooling parts for its new brand created for PC gamers called EK Fluid Gaming. 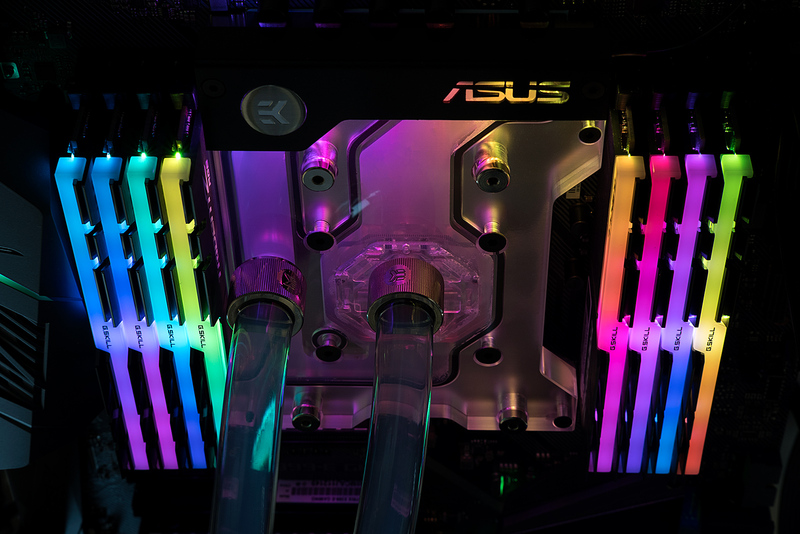 Bringing the best price/performance ratio imaginable, EK Fluid Gaming is already becoming a number one choice for many gamers who want to join the ultimate liquid cooling club in the world!